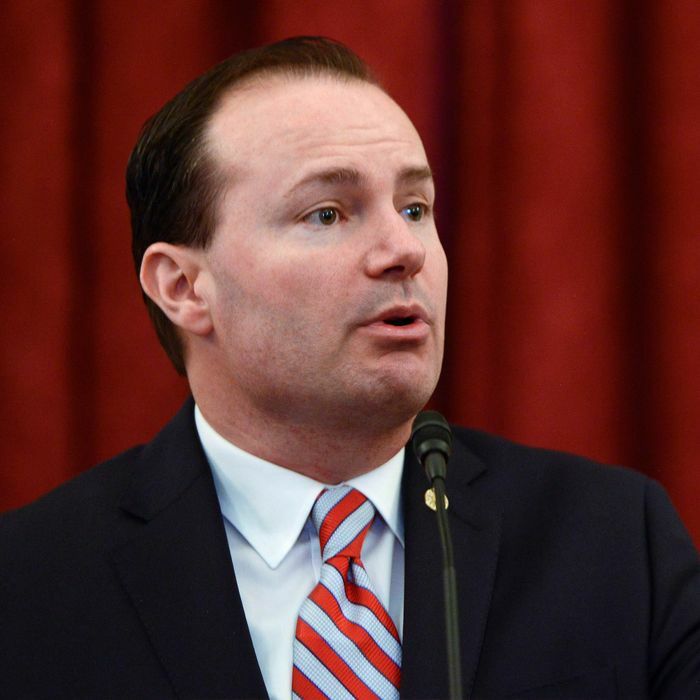 Mike Lee: Did I say that aloud or just think it? The end of the ad directs viewers to “learn more” at https://abetterhealthcareplan.com/. But when you visit the site, it’s just a big video of the same ad that directed you to the site, along with two brief sentences of text. (“There is a plan to get there. The House Republican Healthcare Plan lowers costs, provides more control and more choices to pick a plan that meets our needs, not a plan that Washington mandates.”) The Republican plan turns out to consist of an assurance that there is indeed a plan. That is very true. If people see what Republicans would put in place of Obamacare, they would probably rather keep the status quo. Lee is right that the best way to eliminate Obamacare is to remain vague about the alternative. It’s a little odd for him to come out and admit this, though.